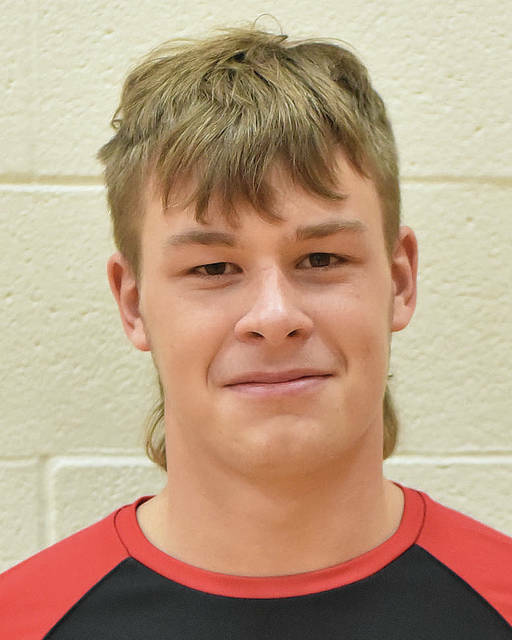 NEW KNOXVILLE — Fort Loramie grabbed a big early lead and cruised to a 53-19 road nonconference win over New Knoxville on Monday. The Redskins came out firing and led 17-0 after the first quarter. They led by as many as 25 points in the second quarter on their way to building a 27-7 lead. Fort Loramie continued its pressure in the third quarter, forcing several Ranger turnovers on its way to taking a 40-9 lead going to the fourth quarter. Fort Loramie had another balanced scoring night which saw ten different players find the scoring column. Nick Brandewie led the Redskins with 12 points while Collin Moore scored eight. Carson Bierlein and Andrew Poppe each scored four points for New Knoxville. John Leist hit two free throws with 1.9 seconds left to lift the Wildcats to a nonconference victory in Houston on Monday. Riverside couldn’t hold onto an early lead and lost a nonconference game on Monday in Urbana. The Pirates led 11-8 at the end of the first quarter and 18-16 at halftime. The Hillclimbers used a 7-4 scoring advantage in the third to take a 23-22 lead and finished with a 20-15 scoring advantage in the fourth. Lauryn Sanford and Kalin Kreglow each scored eight points while Courtnie Smith and Shelby Giles each scored seven. The Pirates shot 14 for 60 (23.3 percent) from the field and outrebounded Urbana 35-20. Hodge said the team wore special t-shirts before the game in honor of Urbana elementary student Troy Byrd, who died last weekend. “Today at school, one of my players, Leah Kelsey, asked me what we could do as a kind gesture for the Urbana community since we played them tonight,” Hodge said. “She came up with the idea to get a team shirt to wear during pregame warmups. Thankfully, Main Street Signs was able to print these for us with four hours notice. The girls met at lunch and were all on board with the idea. Sidney’s boys and girls bowling squads beat Tippecanoe at Bel-Mar Lanes on Monday. The boys team beat the Red Devils 2,483-2,210 to improve its record to 10-4 overall and 7-4 in Greater Western Ohio Conference American North Division play. Jaxon Rickey had a 463 series, Kaden Abbott had a 415 series and Drake Cromes had a 407 series. The girls squad defeated the Red Devils 1,575-1,482 to improve to 4-10 and 3-8. Kate Miller had a career-high of a 325 series, Camryn Smith had a 315 series and Sarah Bell had a 277 series.